Story Terrace today announced it has raised £500,000 ($640,000) to continue its mission to tell the stories of those you love. The customers are typically kids who want to buy a highly personal gift for their parents around an anniversary, or startup founders who have recently exited a business and want to set the record straight — or at least firmly crooked. 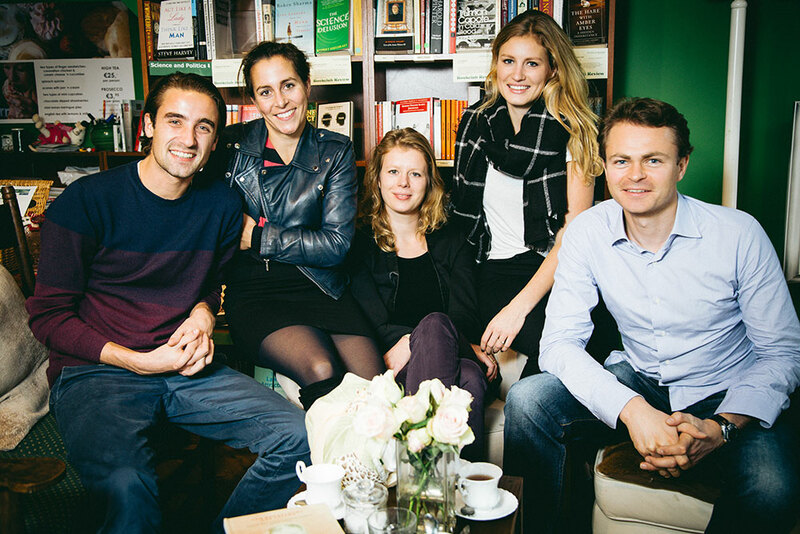 The Story Terrace team, with its founder Rutger Bruining (right). Bruining assures me that the automation isn’t because he has a passionate hatred for designers, but because he wants to be able to offer the books to his customers faster than even the most dizzy-fingered of designers is able to accomplish. The company’s packages start at $1,200 for a short book written by a junior writer and continues all the way up to $6,000 for a longer book by a “critically acclaimed” writer. The company also offers custom work. As part of its early customer evaluation, Story Terrace has completed 160 books, for a total of £350,000 (around $445,000) worth of sales, which would indicate an average price paid per project of $2,750. The company is aiming for a Series A to further accelerate growth in the first half of next year.